Connecting Parsey to Active Campaign can only be done after Configuring Your Extractions. A window will appear that gives you three options: Connect to a CRM, Send a Text Message, and Make a Phone Call. 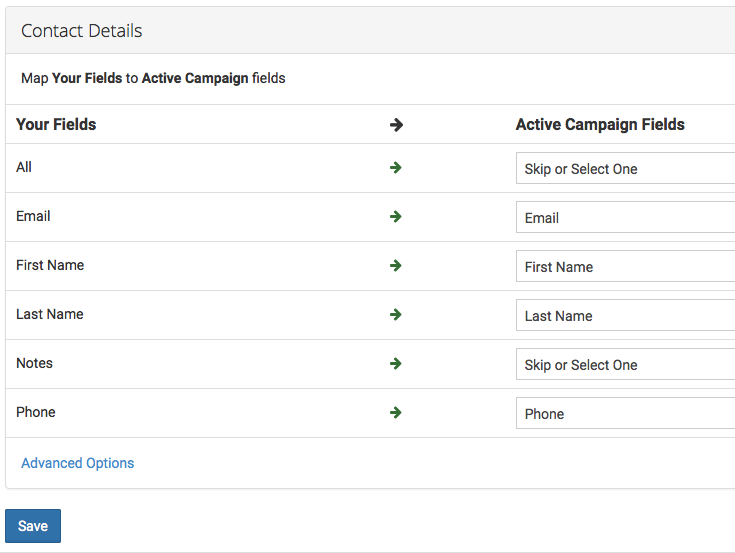 Click Active Campaign. 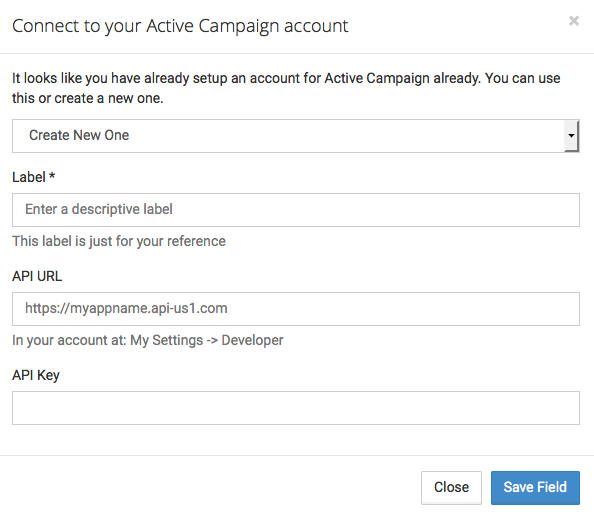 For Step 1, click Connect to an Active Campaign Account. In Step 2, give your account a Label. The most common practice is to label it with your Active Campaign App Name. This can be found in the URL before .activehosted.com. Then, paste your API URL into the next field. Now you will just need to enter your API Key. You can find both of these things using the article here: How do I find my Active Campaign API Key. 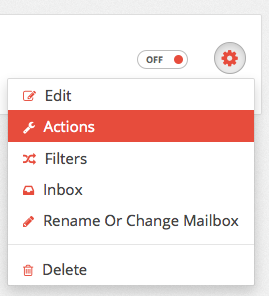 Your Active Campaign Action is what creates and/or updates a contact inside Active Campaign. To get started, go to your Parser. 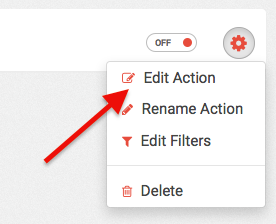 Then click Edit Action on your Active Campaign Action. 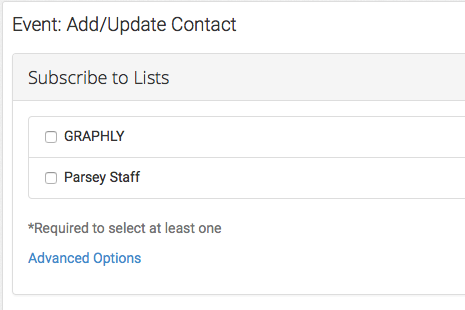 First you will want to select which list you want to subscribe these contacts to. Now you will want to match your extracted values to their corresponding fields inside Active. Just click the drop down menu next to each field and select it. Do this for all of your extractions. Once you are finished matching your values to their fields inside Infusionsoft, it should look something like the image above. Now you can hit Save. Congratulations, you have now configured an Action.